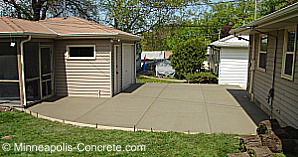 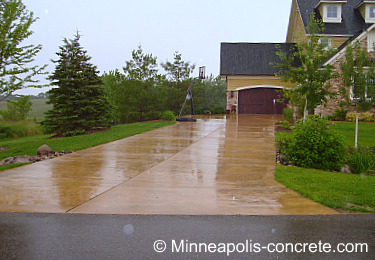 Standard concrete driveway with exposed aggregate borders. 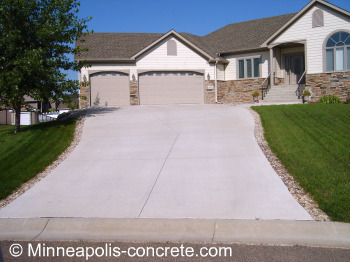 In order to create additional parking space, a driveway add-on was installed. 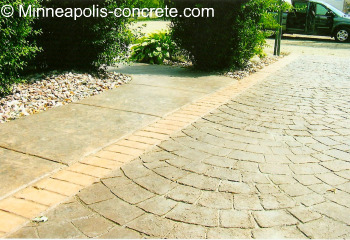 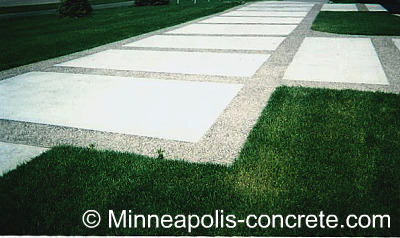 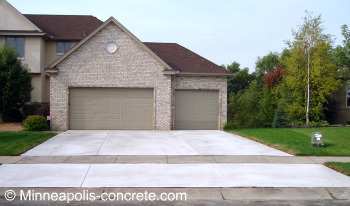 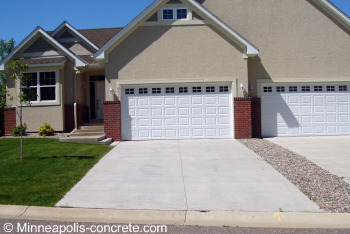 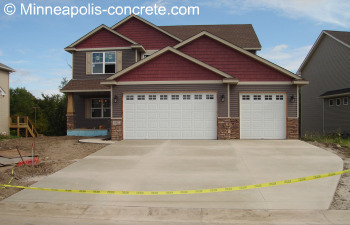 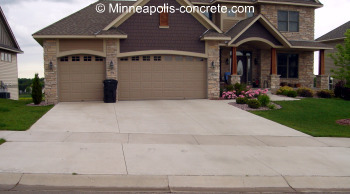 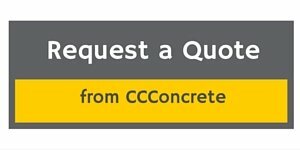 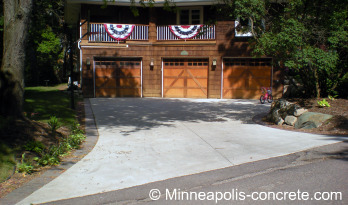 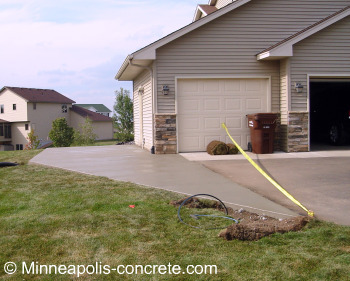 If you would like a bid on a concrete driveway or driveway repair project and you live in the Minneapolis and surrounding suburbs area, request a quote.